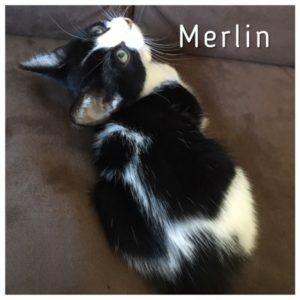 Merlin has the most beautiful markings on his back and the cutest little black dot on his nose. I describe Merlin as a thinker, he’s very curious and always watching how things work. 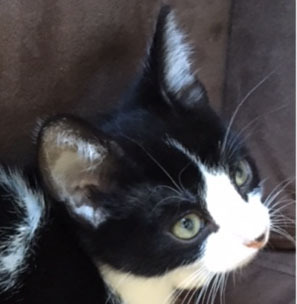 He is very charming and enjoys a good snuggle on his terms. He likes to find hiding places to take naps. He’s a very sweet boy.